Vulcan GMS recently held our annual neighborhood clean up around both of our factories in Milwaukee. The event was held on a Saturday and attendance was optional for employees. Showing true Vulcan spirt, we proudly had over 60 people attend the cleanup. Covering roughly a half mile in each direction, our blue crew picked up trash and wind-blown debris, cleaning and beautifying the streets and surrounding neighborhoods. As result of the effort, we filled an entire dumpster with trash that had been littering the streets and natural areas near our factory sites. Of course after the work was done, some celebratory coffee, donuts and good times were had by all. 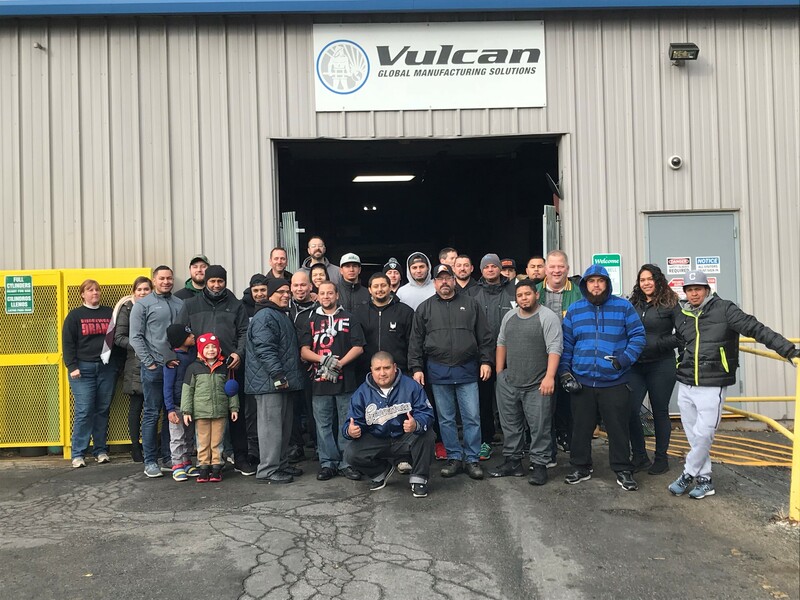 A cleaner environment benefits everyone, and Vulcan GMS is committed to caring for our neighborhoods and supporting the Vulcan family. Our company will continue with both charitable and environmental efforts to support local neighborhoods in the future.